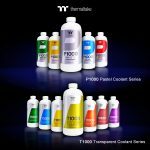 Today, I will be taking a look at their new product in the expansion cards line up. 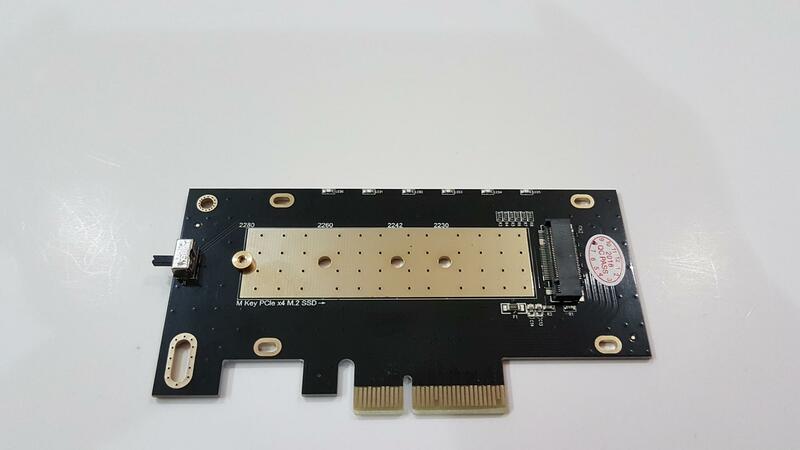 It is called ECM-24 and it is an adapter card which allows the users to connect M.2 (M Type only, NVMe supported) SSDs to the motherboards using a PCIe 3.0 X4 slot. 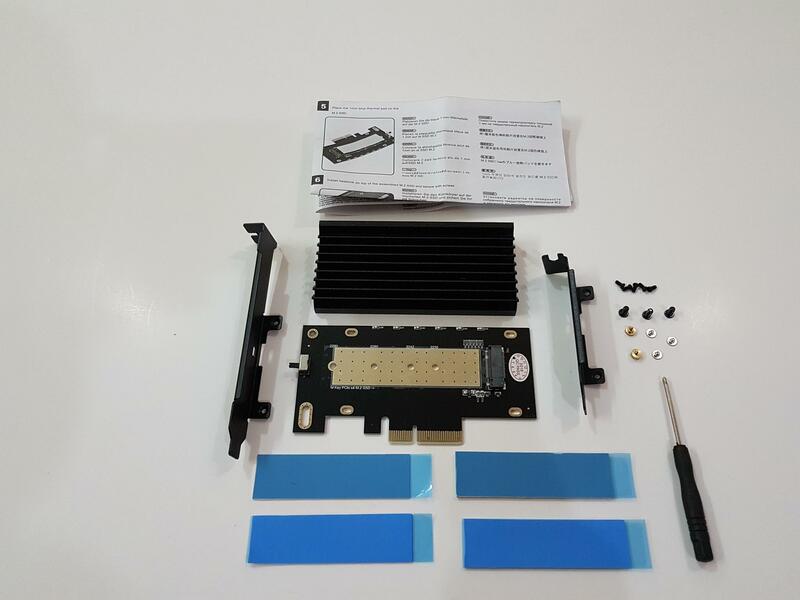 It includes beautifully designed heatsink and thermal pads to keep the temperature of the mounted SSD under control. 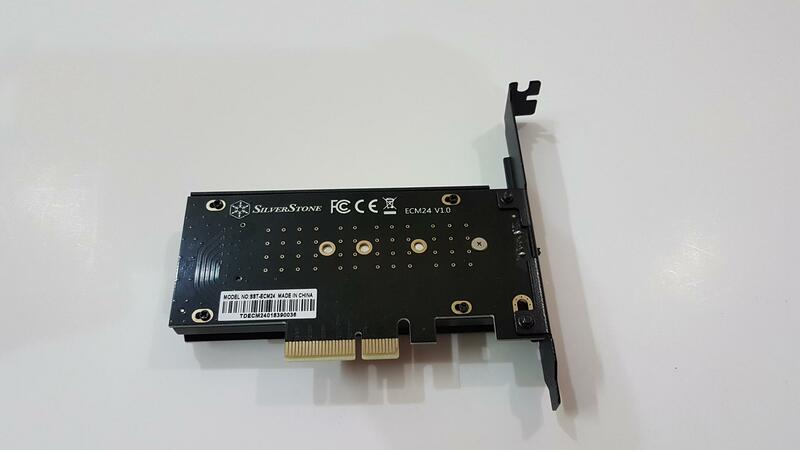 It packs high profile and low profile PCIe brackets as per the user’s requirement. The supported lengths of the M.2 (NGFF) SSD are 30mm, 42mm, 60mm, and 80mm. The solution also packs 6 blue color LEDs which are not RGB. 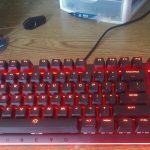 There is a slider button to turn the LED lighting on or off. The product is shipped inside a paperboard box. Unfortunately, this shipment from SilverStone was badly mishandled by the Customs and the boxes were delivered in bad shape as can be seen from the pictures. The front side has SilverStone brand name and logo printed on the top. 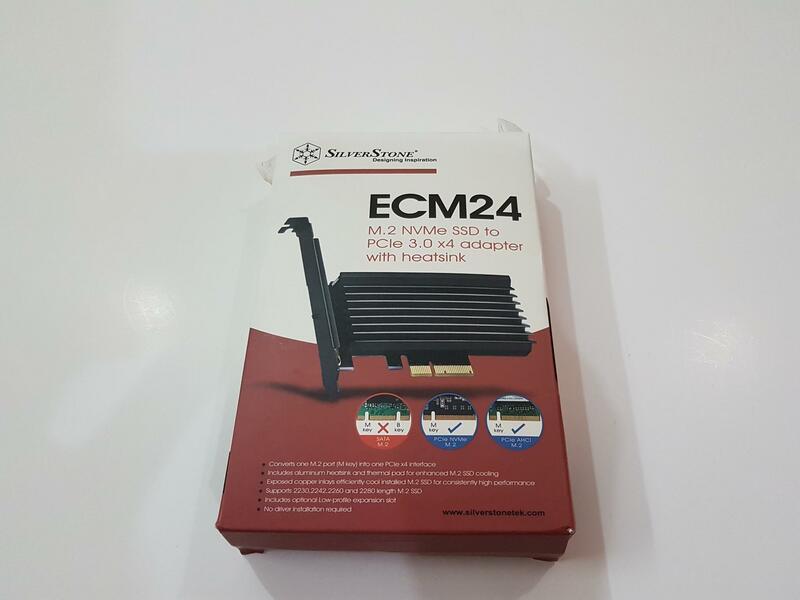 ECM24 is printed above the picture of the product. Feature highlights are printed in bullet format below the picture. The backside of the packaging has SilverStone name and support contact email address printed on the top. 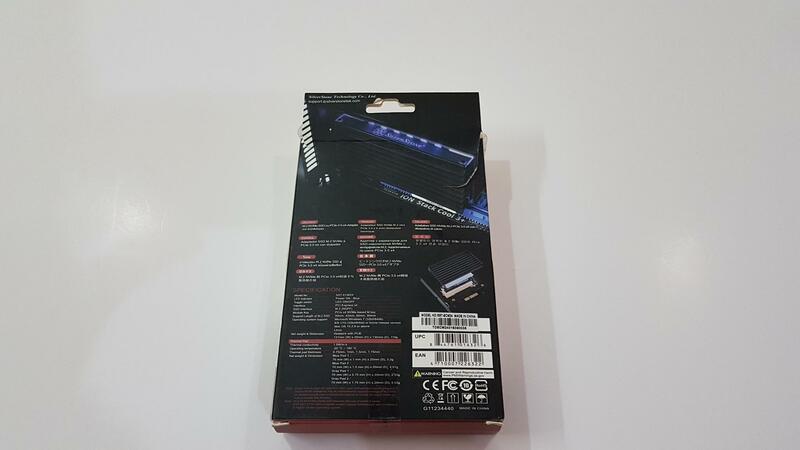 There is a picture of the product in action with a blue light on printed under the email address. 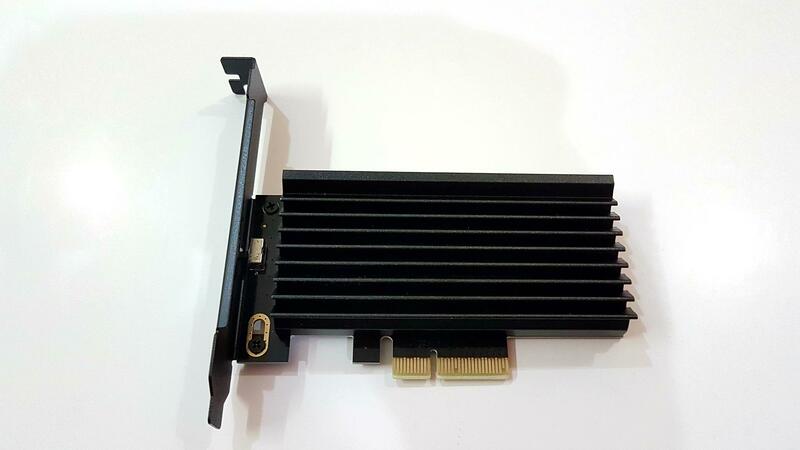 M.2 NVMe SSD to PCIe 3.0 x4 adapter with the heatsink is printed in 10 languages. Specifications are printed on the left side at the bottom. UPC and EAN info labels are printed on the bottom right side with a serial no sticker paste on top. The left and right sides are identical. 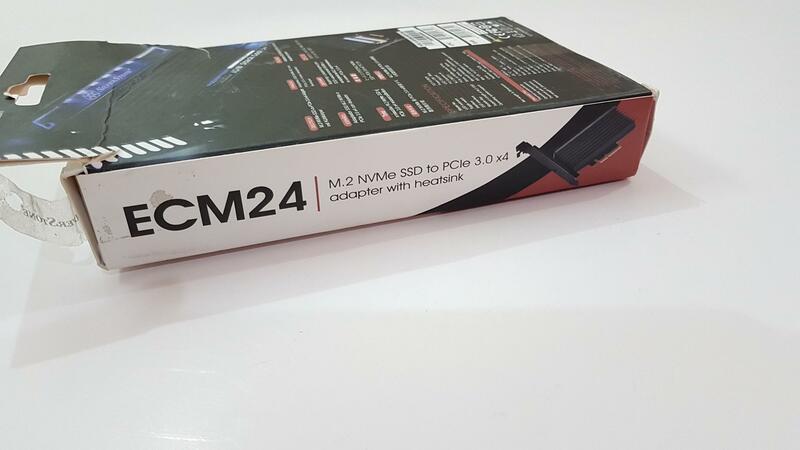 ECM24 is printed on the left side followed by the M.2 NVMe SSD to PCIe 3.0 x4 Adapter with heatsink and the picture of the product. Opening the outer box would reveal a transparent plastic container having all the contents. 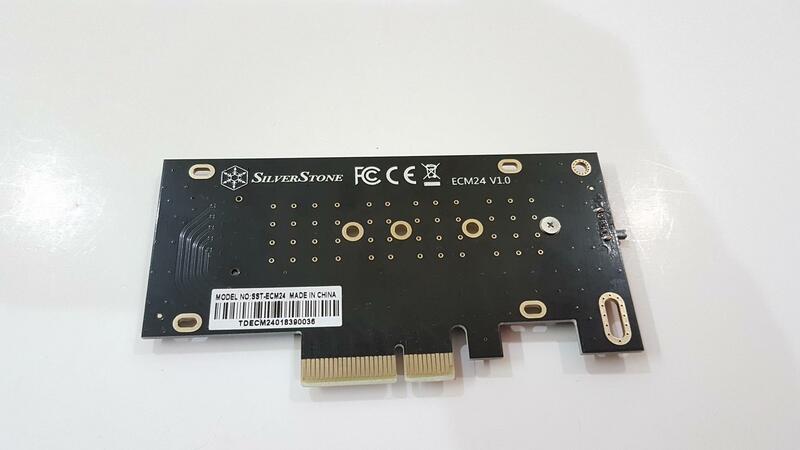 The SilverStone ECM24 is an adapter to convert M.2 NVMe SSD to the PCIe 3.0 X4 interface. 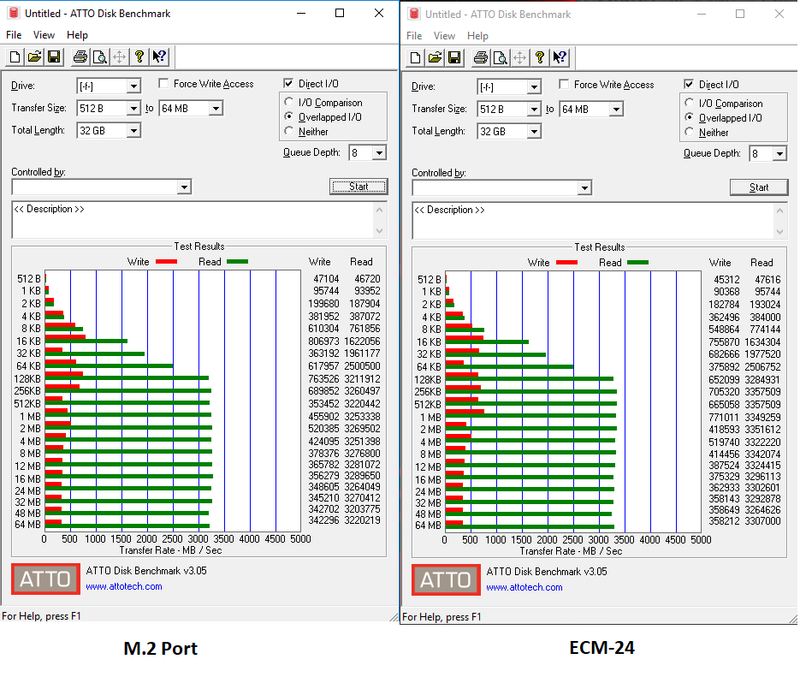 ECM24 supports M.2 device (M key) to run via the super-fast PCIe interface for added storage potential. It also includes an aluminum heatsink to enhance cooling and protect installed M.2 device. For users looking to expand their M.2 slots with the fastest interface possible, the ECM24 is a must have particularly when the motherboards don’t provide this feature though modern-day motherboards offer this feature right through the M.2 sockets on them. 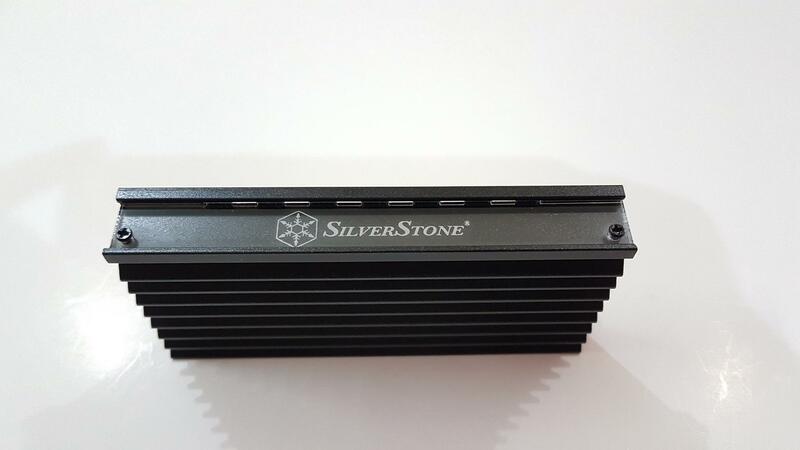 SilverStone has taken care of thermal throttling issue on M.2 SSDs as well in this product as it carries aluminum based heatsink and thermal pads for optimal performance without compromising the high speeds. Let’s take a closer look. What ECM24 is? 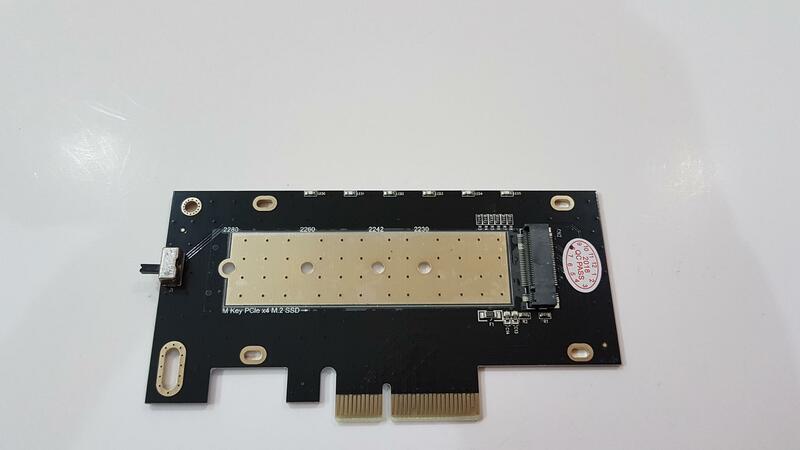 It is essentially a dedicated PCB designed to provide PCIe 3.0 X4 interface for the M.2 SSD only. The overall dimension of the unit is 121mm X 20mm X 130mm. We have a black color PCB. 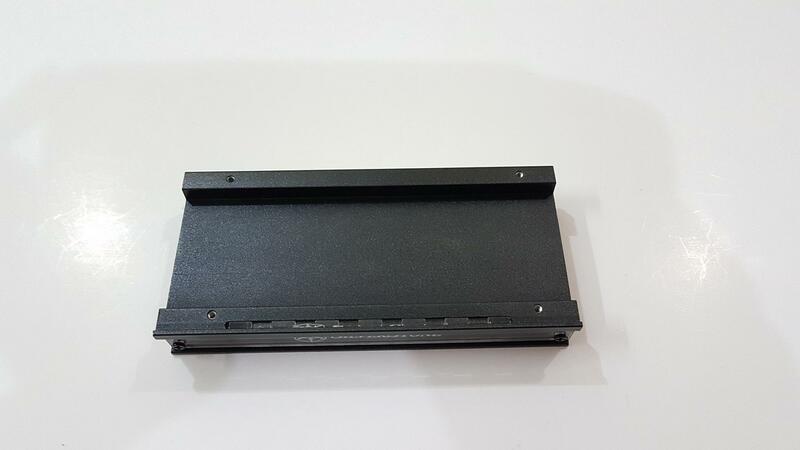 We have an M.2 socket with supported lengths of 2230, 2240, 2260, and 2280 M.2 SSD. There is a dedicated copper base inlay that runs on the entire length of the SSD’s maximum supported length of 2280 or 80mm. This inlay serves for the additional cooling purpose for heat dissipation as it covers the bottom side of the SSD. 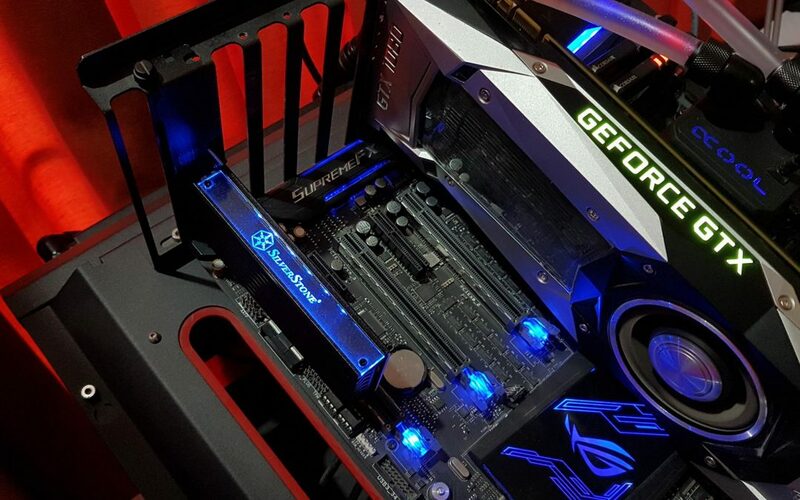 SilverStone was thinking way ahead as they have not forgotten the double-sided M.2 SSDs. That is why a group of 2 thermal pads each of different thickness is provided along. 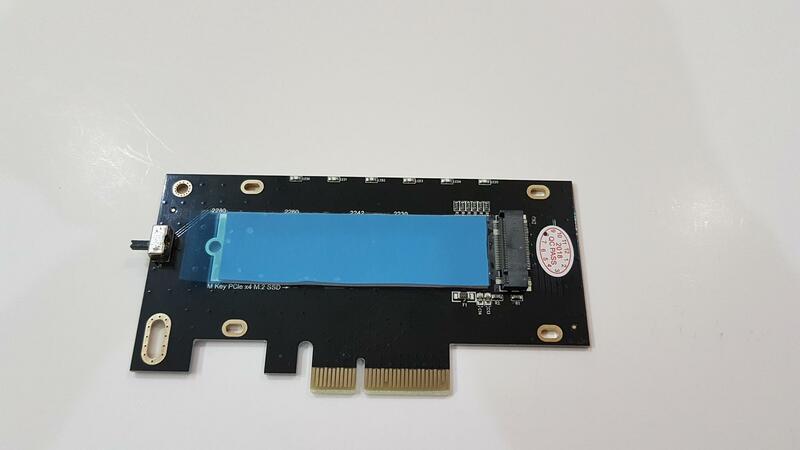 Each length of the M.2 SSD is printed on the PCB starting from 2230 and terminating at 2280. The SATA B-Key SSDs are not supported. The only supported interface is PCI Express using AHCI/NVMe with M-Key. There are total 6 mounting provisions. Four of them are to mount the heatsink on to the PCB whereas the two leftmost are to install the bracket to the PCB. There is a slider button on the left side which be used to turn the LED lighting on and off. It is a good design which allows the user to turn off the lighting. 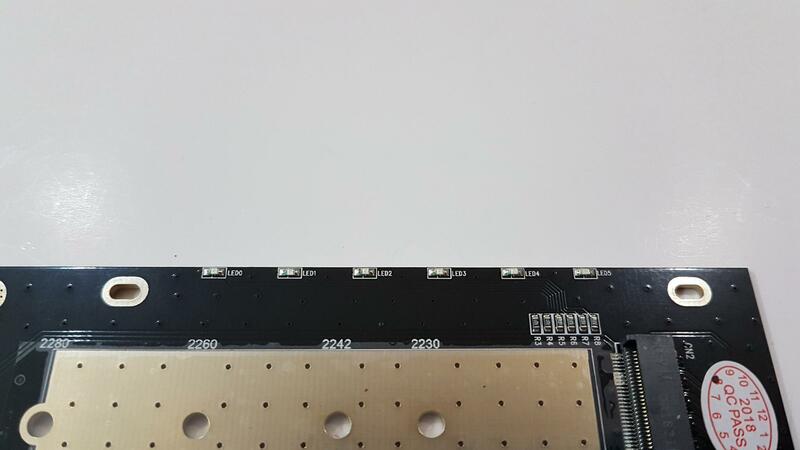 There are 6 LEDs on the top of the PCB starting from LED 0 to LED 5 from the left side to the right side. These are static blue LEDs. 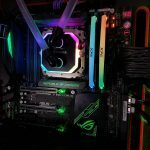 RGB LED lighting would be a plus though that would mean more cost to the overall package due to PCB design and controller consideration. Taking a look at the backside of the PCB, the SilverStone brand name and logo are printed in the white color on the top. A serial no sticker is pasted at the bottom. There are 48 small size holes under the copper inlays area. ECM24 V1.0 is printed on the top which gives a hint on more versions coming down the road. 21+11 pin PCIe connector can be seen at the bottom end of the PCB. 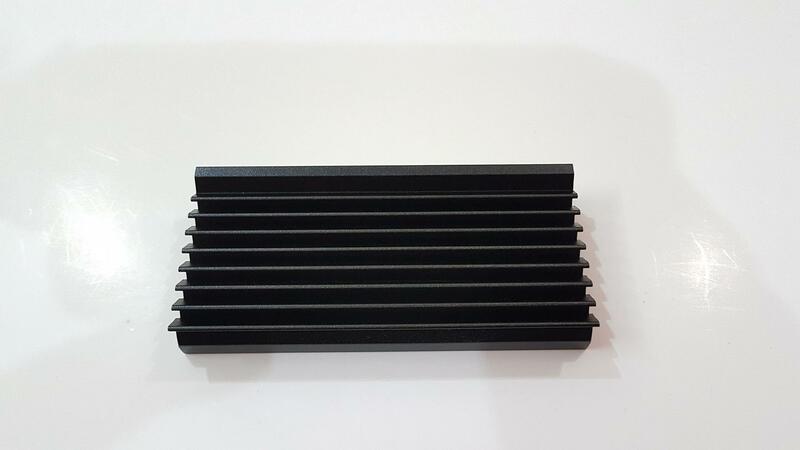 We have a massive heatsink with angular fins styling (total 9) in black color. Its top side has an inset with the acrylic plate installed with two screws. This plate has SilverStone logo and name in the middle which illuminates in the blue light. There are six cutouts on the top side of the heatsink that face the LED lights on the PCB. The backside of the heatsink has plain surface and an inset which makes direct contact with the M.2 SSD. The raised edges have 4 mounting holes to secure the installation of the heatsink with the PCB. 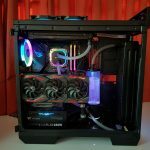 The SilverStone has included two PCIe brackets. One is the standard or full-length bracket whereas the other one is the low profile bracket. Each bracket has a cutout through which the LED lighting control button of the PCB passes through. On/Off is printed on both brackets. Each bracket has two latches with holes. These are there to mount the brackets on to the PCB using provided bracket screws. The SilverStone has provided total four thermal pads. Two are in light blue color while the other two are in gray color. The dimension of the blue pad 1 is 70mmX1mmX20mm (WxHxD) and has 3.2gm weight. 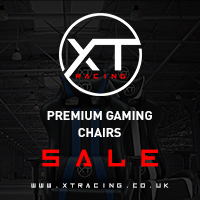 The blue pad 2 has a dimension of 70mmX1.5mmX20mm (WxHxD) and has 4.61gm weight. The dimension of the gray pad 1 is 70mmX0.75mmX20mm (WxHxD) and has 2.53gm weight. The gray pad 2 has a dimension of 70mmX1.75mmX20mm (WxHxD) and has 5.52gm weight. The above picture shows the thickness of each thermal pad for better understanding. 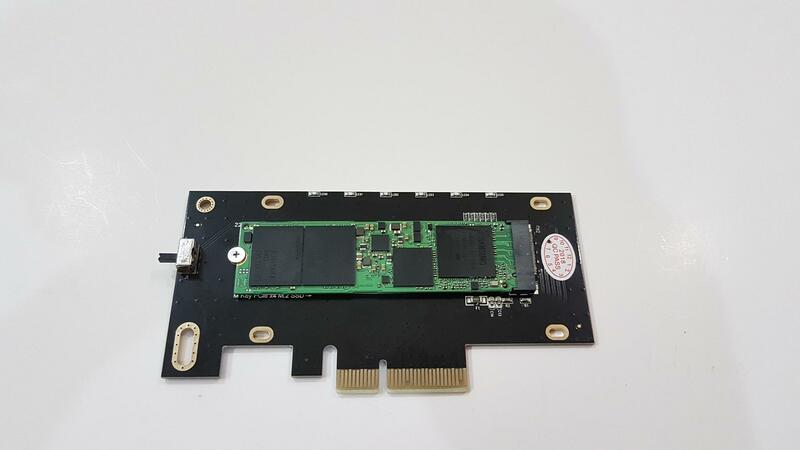 The gray color pads are to be used on the PCB between the copper inlays and the SSD whereas the blue color pads are to be used between the top side of the SSD and the heatsink. 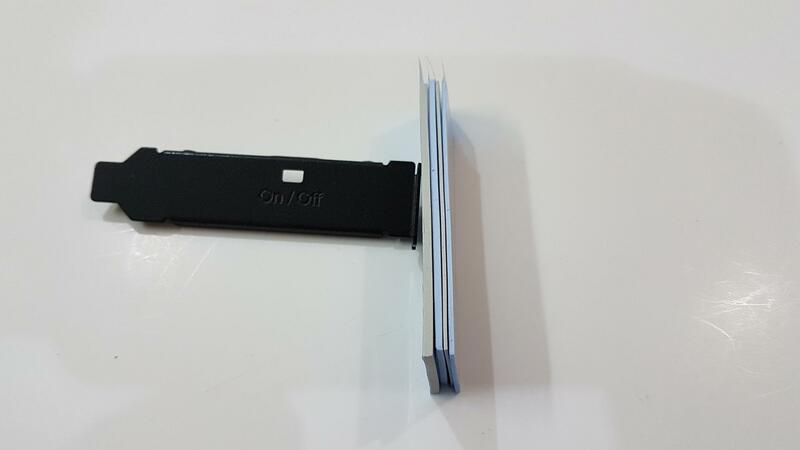 The different thickness is there to ensure the proper contact in case of single-sided and double-sided M.2 SSDs. More details are in the Installation section below. Let’s begin with the installation. 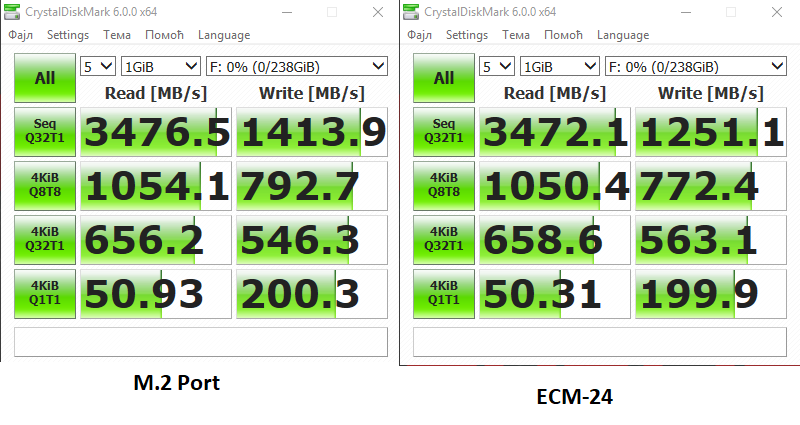 The SSD that I would be using is Samsung PM961 256GB NVMe M.2 SSD. This is a single sided SSD. First thing first, remove or peel off the protective covering from the copper inlay area. The SilverStone manual was not that helpful when figuring out the screw nut installation. There are two screw nuts in golden color. Either of them is to be secured on the desired position across the copper inlay run. In my case, I had to install the screw nut on 2280 location. There are 3 silver color SSD screws. Place the screw nut on the mounting hole such that its bulkhead faces up. Now use one of the 3 silver screws from the backside of the PCB and secure the screw nut on to the PCB. Now, pay close attention. The gray color thermal pad needs to be placed on the copper inlay area. For the single-sided M.2 SSD like mine (one with flat back without components) use 1.75mm thick gray pad. For the double-sided M.2 SSD (one with components on both sides) use 0.75mm thick gray pad. Peel off the transparent protective sheet on one side of the gray color thermal pad and paste it carefully across the copper inlay area. Leave the blue color protective sheet on till the SSD is ready to be mounted. I have used 1.75mm thick gray color thermal pad. Remove or peel off the blue color protective sheet from the already placed or pasted gray color thermal pad. The picture is showing the protective sheet not removed from the copper inlay area. It was removed before the installation but I forgot to take pictures again. Install the SSD by connecting it in the socket and pressing it on the pasted gray color thermal pad. Using second sliver color SSD screw, secure the SSD on to the screw nut. The light blue color thermal pads are to be pasted/placed on the top side of the installed SSD. You can use either blue color thermal pad. 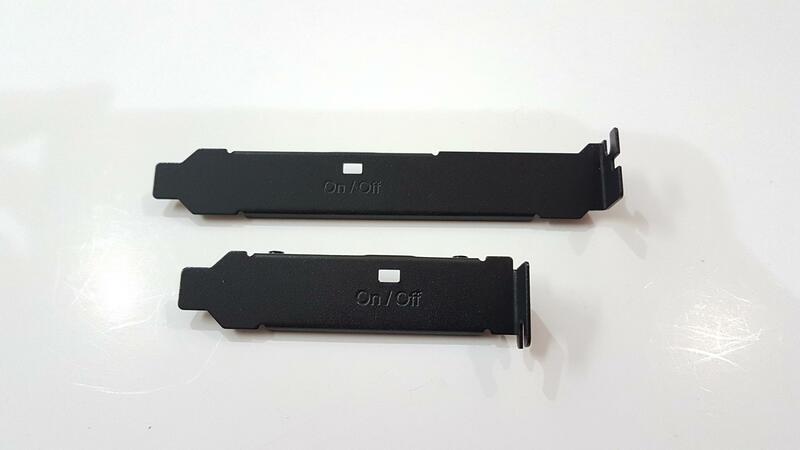 The goal here is to ensure the strong contact between the thermal pad and the heatsink for effective heat dissipation. If 1mm thick blue color thermal pad does not produce good enough contact then use the 1.5mm thick blue color thermal pad. I have used the 1.5mm thick blue color thermal pad. 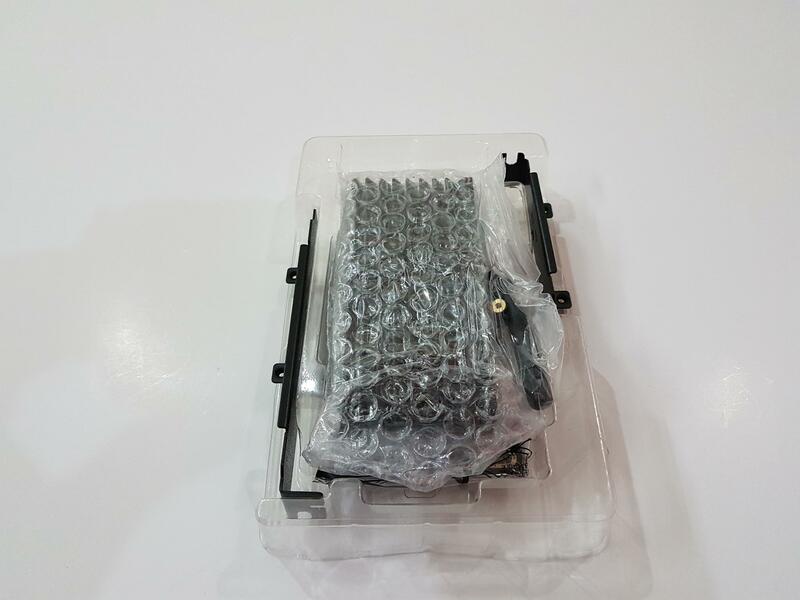 Now, place the heatsink on the PCB by aligning the mounting holes on the PCB with the mounting holes on the raised edges of the heatsink and secure the installation by using 4 black color heatsink screws from the back side of the PCB. In the last step, install the PCIe bracket of your choice on the PCB using the two bracket screws. This would complete the installation. 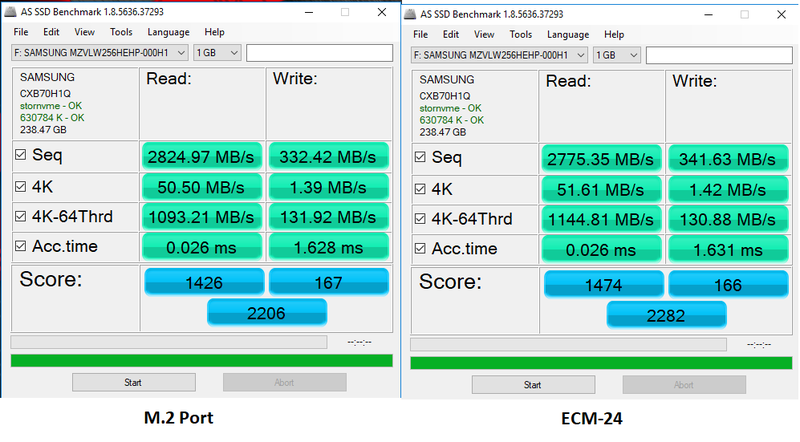 The Samsung PM961 was connected to the M.2 socket on the motherboard and a run of above mentioned benchmarking tools was made. HWInfo 64 was used to monitor the temperature. The thermal graph below will show the maximum temperature during the overall testing. Then the SSD was installed in the SST-ECM24 and benchmarking runs were made again along with the thermal monitoring. 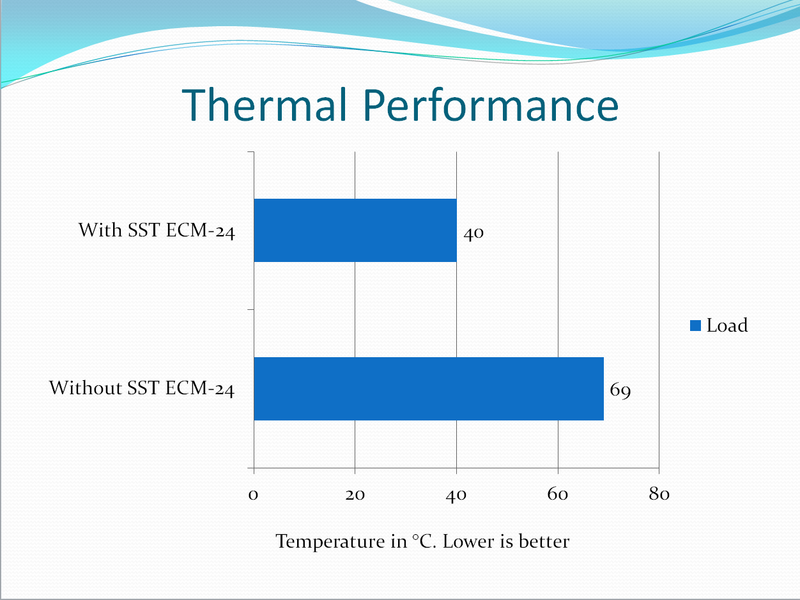 We are checking for performance difference owing to running hot and the thermal performance. Please, note that performance will vary from system to system. There is not much of a significant difference in the speeds. Again, we see there is no as such significant difference in the read/write speeds. In terms of overall score, we could see a difference of 76 points with ECM24 taking a lead. 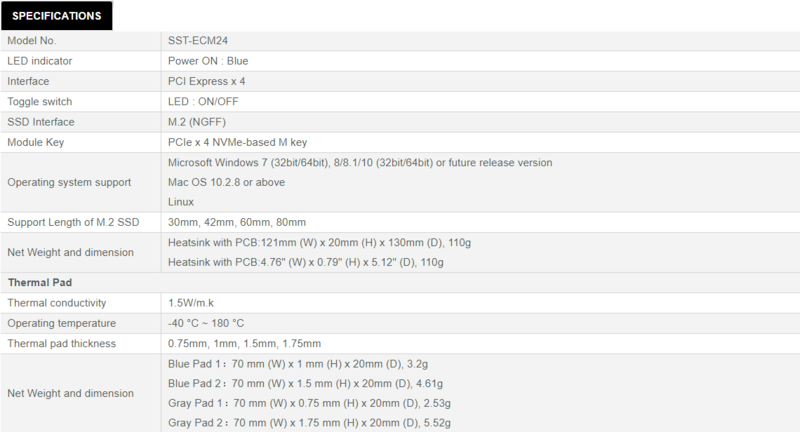 Read speeds got favored using the M.2 socket on the motherboard whereas the write speeds saw favor on the ECM24. As such, not a huge margin to report any significance. From above tests, it is clear that there is no significant performance difference. Now, let’s see if using a dedicated heatsink and thermal pads bring any benefit. 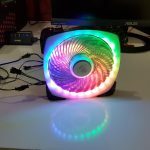 The maximum temperature without using the ECM24 and any other heatsink was 69°C under load. Same was reduced to 40°C using the ECM24. 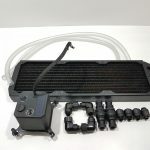 This is quite a significant improvement and SilverStone has clearly delivered a powerful cooling solution on the ECM24. 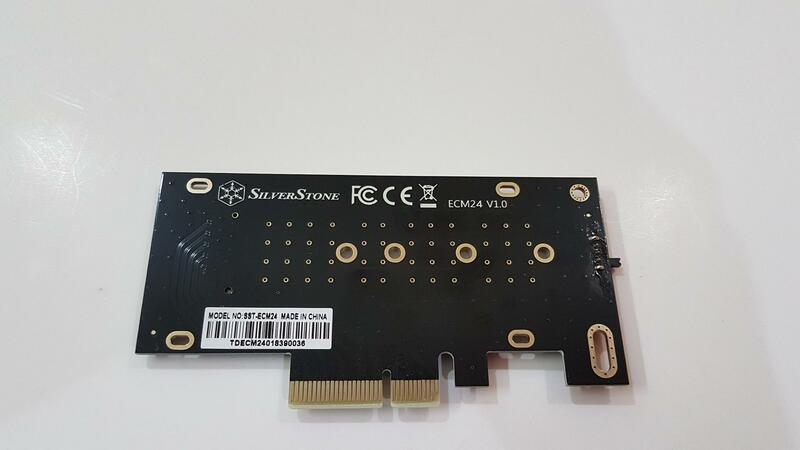 The new addition in the line of the expansion cards from SilverStone is an adapter with a dedicated PCB designed to provide PCIe 3.0 X4 interface for the M.2 (M Socket) SSDs only. The overall dimension of the unit is 121mm X 20mm X 130mm. ECM24 supports M.2 device (M key) to run via the super-fast PCIe interface for added storage potential. It also includes an aluminum heatsink to enhance cooling and protect installed M.2 device. For users looking to expand their M.2 slots with the fastest interface possible, the ECM24 is a must have particularly when the motherboards don’t provide this feature though modern-day motherboards offer this feature right through the M.2 sockets on them. 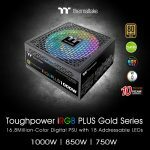 SilverStone has taken care of thermal throttling issue on M.2 SSDs as well in this product as it carries aluminum based heatsink and thermal pads for optimal performance without compromising the high speeds. 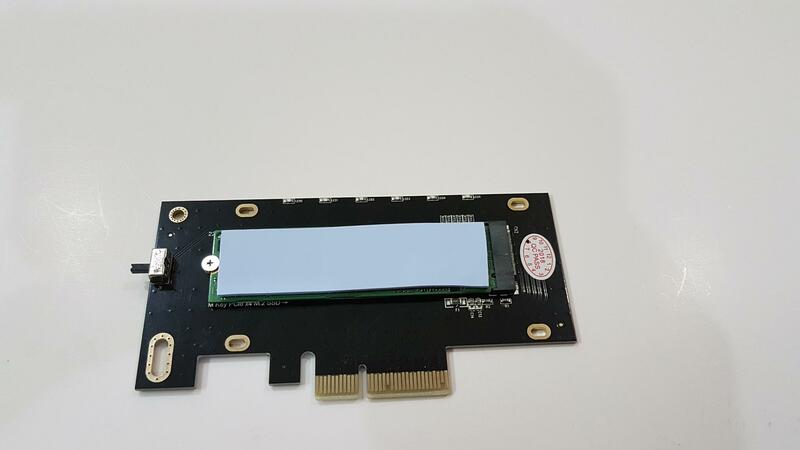 The expansion card has an M.2 socket with supported lengths of 2230, 2240, 2260, and 2280 for the M.2 SSD. There is a dedicated copper base inlay that runs on the entire length of the SSD’s maximum supported length of 2280 or 80mm. This inlay serves for the additional cooling purpose for heat dissipation as it covers the bottom side of the SSD. 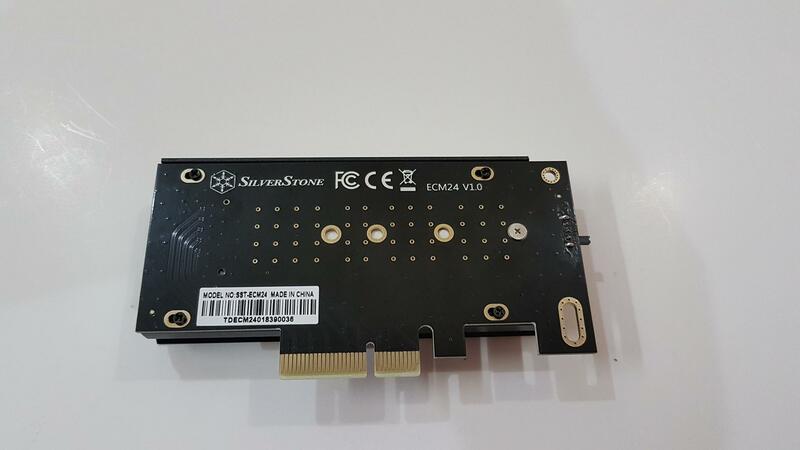 SilverStone was clearly thinking way ahead as they have not forgotten the double-sided M.2 SSDs. That is why a group of 2 thermal pads each of different thickness is provided. Each length of the M.2 SSD is printed on the PCB starting from 2230 and terminating at 2280. This card supports single-sided and double-sided SSDs. There are 6 LEDs on the top of the PCB starting from LED 0 to LED 5 from the left side to the right side. These are static blue LEDs. 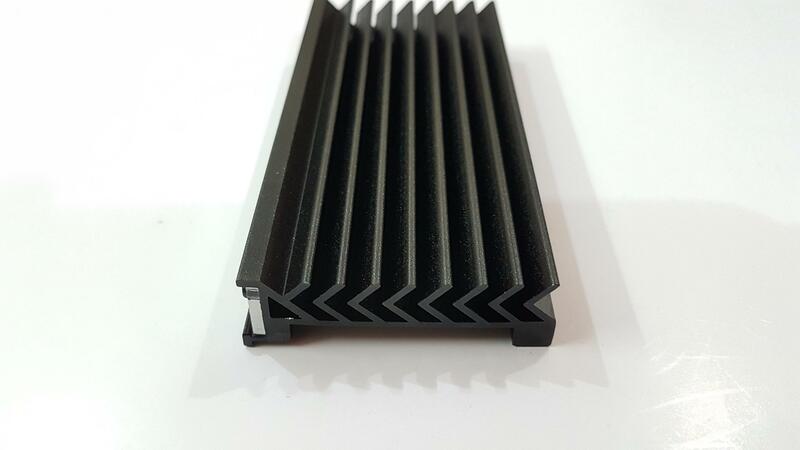 The heatsink is in the black color and has 9 angular fins. The bottom side of the heatsink has a large inset area which makes contact with the top thermal pad on the SSD. The raised edges have mounting holes to secure the heatsink with the PCB. There is an acrylic plate on one side of the heatsink. Make sure to install the heatsink so that this acrylic side faces up. It has SilverStone brand name and logo printed in the center which illuminates in the blue lighting. The SilverStone has provided total four thermal pads. Two are in light blue color while the other two are in gray color. The dimension of the blue pad 1 is 70mmX1mmX20mm (WxHxD) and has 3.2gm weight. 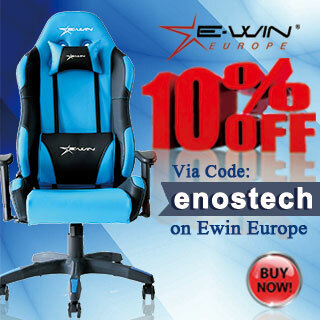 The blue pad 2 has a dimension of 70mmX1.5mmX20mm (WxHxD) and has 4.61gm weight. The dimension of the gray pad 1 is 70mmX0.75mmX20mm (WxHxD) and has 2.53gm weight. The gray pad 2 has a dimension of 70mmX1.75mmX20mm (WxHxD) and has 5.52gm weight. 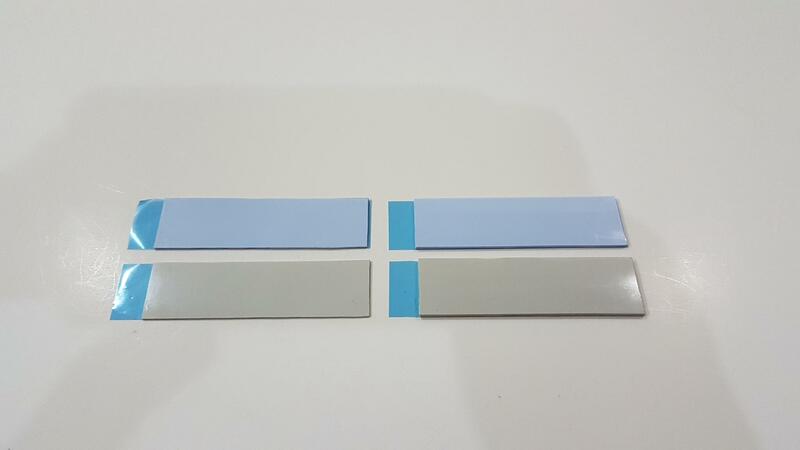 The gray color pads are to be used on the PCB between the copper inlays and the SSD whereas the blue color pads are to be used between the top side of the SSD and the heatsink. The different thickness is there to ensure the proper contact in case of single-sided and double-sided M.2 SSDs. More details are in the Installation section below. Installation was a walk in the park through the SilverStone user guide/manual needs to be further elaborated to make it clear to the user on how to install the golden color screw nuts. 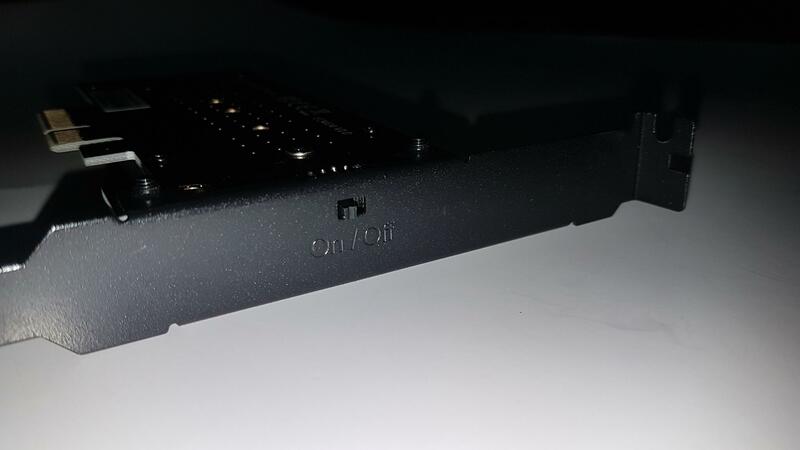 The bulkhead side of these nuts remains on the PCB surface and it is to be secured using one of the 3x silver color SSD screws from the backside of the PCB. 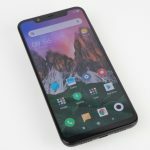 The SST-ECM24 is listed at $34.99 at the time of the review. 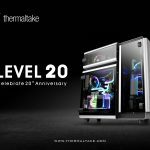 This price justifies the thermal performance and outlook of the complete solution that has been offered by the SilverStone as our testing has shown it to be the case. 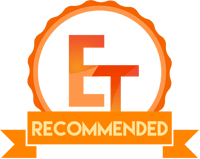 The SST-ECM24 comes recommended by us for the users who are using older motherboards or need more M.2 sockets. 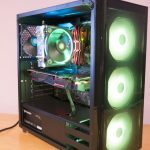 We are thankful to the SilverStone for sending us their SST-ECM24 for the review.